The CompTIA Cloud Essentials is a specialty course by CompTIA that that helps individuals to Understand the basics of cloud computing. With the widening scope of business and increasing capabilities, more and more corporates are moving to manage work through cloud computing models of business. The CompTIA Cloud Essential certification is applicable to a wide range of IT professionals. This course is geared towards IT professionals currently in or looking for positions as IT consultants, IT technical services, IT relationship managers, IT architects, consultants and business process owners analysts. This course is the first step on a training path that leads to a technical career in cloud computing. 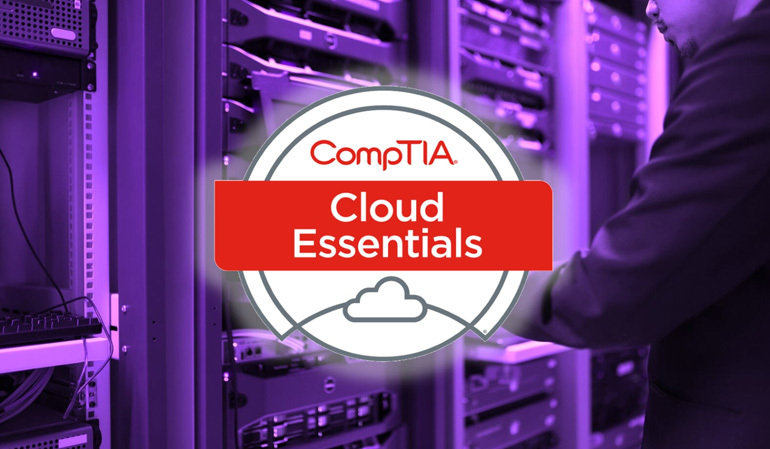 CompTIA Cloud Essentials is aimed at business professionals and non-IT staff who want the understanding of cloud computing principles based on real-world issues and practical solutions. It is recommended that you have at least six months of working in an environment that markets or relies on IT-related services.